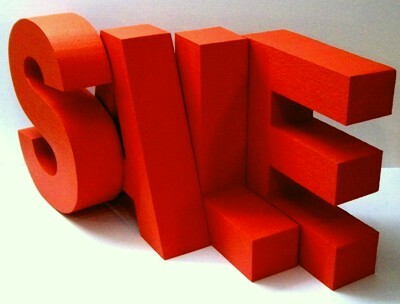 3D Sale lettering for shop window displays. 300mm high measured on the letter ‘S’. Red matt finish all over. Helvetica Bold Font. Various sizes are available. 300mm high, 500mm high in Helvetica Bold. 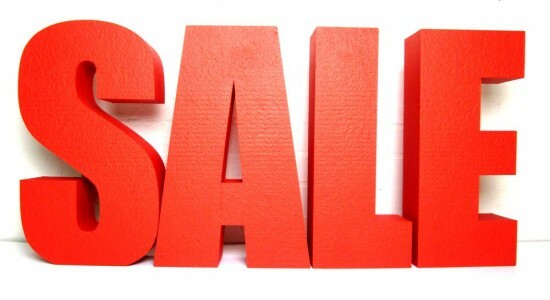 600mm high and 1000mm high is available in Impact font. 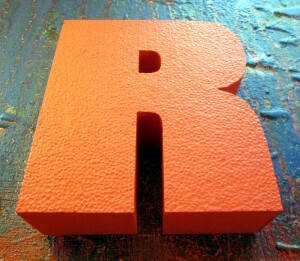 Painting polystyrene letters are usually painted with a vinyl matt emulsion from either Crown or Dulux. The letters are hand painted with two layers. Paint colours are matched to RAL or BS colour charts as well as some pantone colours. Pantone colours are specifically designed for lithographic printing and paints can be closely matched. The visual effect of painted colours depends on the lighting conditions of the display area in which the letters are placed. 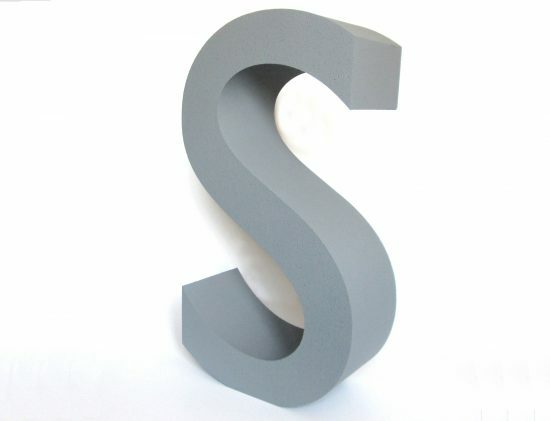 Painted polystyrene letters come in many sizes. Custom cut to the customers requirements. 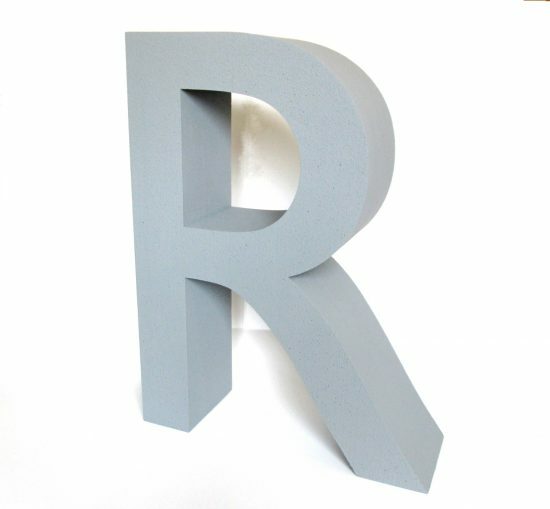 800mm high letters painted in a particular grey to match the customers pantone colour reference to match their business colours. The letters were 200mm thick so that they would stand up. One of the letters was base weight inside the bottom of a letter ‘P’ to make it stand up and not fall over. Contact us for advice and a price. Always happy to help. 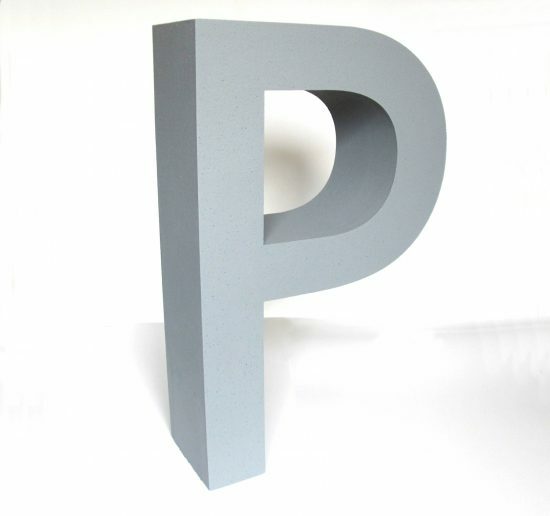 Grey painted polystyrene letter ‘P’ with an internal base weight of resin to help it stand up. Don’t forget to contact us for advice and a price. Always happy to help. Polystyrene letters may be painted in various colours, we recently did a job where we painted some lettering in a vinyl matt emulsion, supplied by Dulux, colour mixed to the customers pantone reference number. 250mm high, 50mm thick, the lettering was cut in a CompactaBlack font. CompactaBlack font is a very bold style to use and the customer wanted to make a video presentation and photo shoot with them and then use them again in the future for other projects. If the letters are stored properly and taken of they will last for many years and they can be used again and again on future projects. 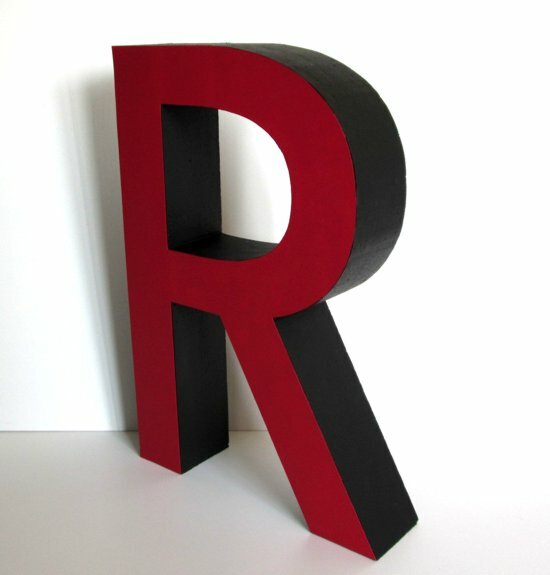 Painted polystyrene letters with a smooth matt face in Magenta with black painted sides. 600mm high and 100mm thick in an Arial font. Smooth faced painted polystyrene lettering. Instore shop window display lettering. Suiltable for 3D lettering for Events.